This is the third challenge in the Work Better with AutoCAD program. The first challenge was to examine your drawings. The second challenge was to create an AutoCAD template. This challenge is still related to the second challenge; you will try to reduce repetitive tasks. 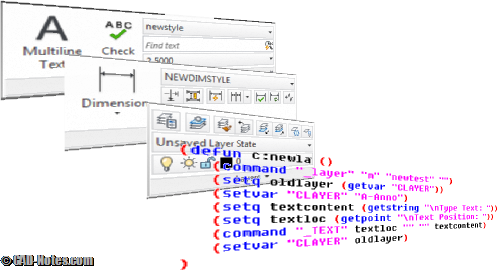 This time you will create reusable content: AutoCAD block libraries. 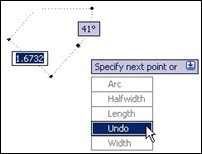 Most objects in AutoCAD drawings are common. If you work with architectural drawings, you will create building components like column grids, columns, doors and walls. Then you will annotate them with symbols like elevation views, section lines and tags. Industry specific software packages come with built-in libraries. That is one reason why they are so convenient. The user can just apply the blocks without recreating them in each drawing. On the other hand, AutoCAD is broadly based so that it can be used by almost every engineering discipline. Turning it into the time-saving device that it can become requires you to create your own reusable content to match your specific needs. 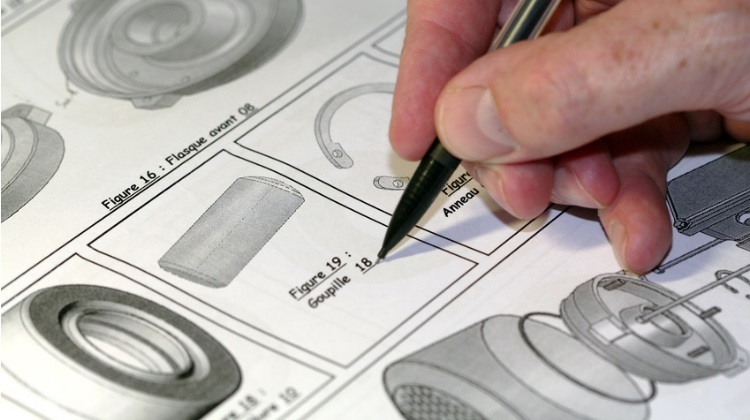 When you have reusable content, you significantly reduce the time needed to create your drawings. See more reasons why you should use AutoCAD blocks here. You can add information to block as attributes. For example, let’s say you want to create a door. You can add information such as the manufacturer, door type, fire rating, and so on. You can also use attributes as labels or tags. The popular example of this is to use it for visible annotation tags. A more complex example is to use the attributes in title blocks. Creating annotation tags as blocks not only allows you to work faster. Using blocks keeps your annotation consistent and is a good way to maintain CAD standards. Once your AutoCAD blocks have information about those particular objects, you can easily extract the data allowing you to quickly create schedules. In the first challenge, you examined your drawings. From that you should already know which blocks you need. If you are not familiar with creating blocks, check this tutorial for Dummies website. There are many resources where you can download free block libraries too. If you know of and want to recommend a website, please share in comment section below. Dynamic blocks is a feature that extends block capabilities. It allows you to have multiple block appearances in a single definition. Let’s say you need to place a number of column. Instead of creating one block for each size, you can create one dynamic block. You can place it and change the size dynamically. Learn about dynamic blocks in this tutorial series. Annotative blocks is another block feature that you should consider to adding to your library. Annotative blocks recognize the active scale and adjust the block scale accordingly. It will also make any included annotation readable with your standard text size. Creating annotative blocks is easy. You only need to activate the annotative option when creating the block. If you are already familiar with annotation scale, manipulating annotative blocks is similar. If you are not familiar with it yet, you can check the annotation scaling tutorial here. After you create the blocks you need, you need to manage them. For blocks, “managing” means being able to find them quickly and reliably. And unless you are working alone it means others need to find them too. Consider where you would store them for easy access. You might have hundreds of blocks to deal with so creating folders and sub-folders can be a big help in staying organized. You can easily create tool palletes from the folders with a few mouse clicks. You can also find them easily by using Design Center. If you are working on your own, saving the blocks in a local drive might be sufficient. If others need access too, pick a network location. In either case, don’t forget to back them up! You need to consider creating backups for those shiny new blocks. You don’t want to lose all that hard work, do you? My favorite way to backup blocks is to save them on OneDrive or in the Autodesk 360 folder. Your blocks will be automatically uploaded to your storage account, and you can access them anytime, anywhere. 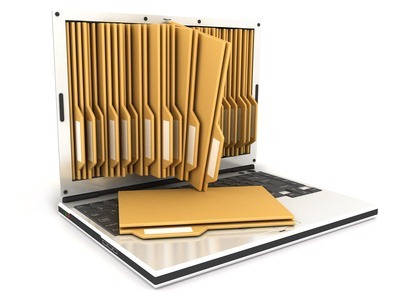 If you are working in a corporate environment, you likely already have a backup system. Ask your IT support how they can help to create backups for your files. You can do so many things with blocks. But let’s start with the basics: consider how they can reduce repetitive tasks. Do you already have a block library? If you don’t have one, now is a good time to start creating it. You can either organize and save the blocks you already have, or you can start to make new ones. If you already have blocks, how do you manage and share them? How do you make use of block attributes? Do you find them useful? Are you taking advantage of newer features like dynamic and annotative blocks? Great tutorials! Question though. I’m having to work with AutoCAD LT for a client and it does not allow me to run LISP. My research has indicated that I can run LISP one liners and scripts through a macro. So I’m trying to find a way of creating a macro that uses LISP one liners to get the attribute value of a block and write it to a hyperlink on that block. Can I use the ssget LISP command on an annotive block? Can you help me with this? I don’t think you can do that in AutoCAD LT. There are probably some LISP commands you can run, but most of them won’t work. Why not using fields in your case? If you have an example of what you want to achieve, I probably can help. I am having issues with newly installed cad software on a high res laptop, everything is super tiny! How to fix??? I have yet to create dynamic blocks. That will be my next project but for now I have completed many blocks for the details we use that never change. I have had to spend a lot of time changing font of the blocks I have imported or created from others drawings and I would like to find a faster way but I don’t know if its possible unless everyone here is on board. Alas I am only the CAD person, sort of the bottom rung of the tech ladder at my place of business, not exactly a policy writer. Do you have issues when using dynamic blocks and annotative blocks? I also like the features, but I know some people don’t like them. Do you see it affects the computer performance, problems with attributes or other issue? I use both blocks with dynamic and parametric features. Blocks using dynamic actions don’t slow down the drawing but parametric dimensions do. The annotative feature doesn’t affect speed and I have had no problems with attributes. I have SELECTIONANNODISPLAY system variable set to 0 so only one text size shows on the screen. Not sure if that helps display speed or not. Parametric features are nice because you can fool a 3D block into being dynamic. Love using blocks! With attributes! I am “old school” — and I use blocks in the tradition way — scaling them on insert. I am not a fan of the dynamic and annotative blocks. I am a “control freak” and I do not care for many of the newer, automatic functions of AutoCAD.